Posted on December 7, 2013 by Elizabeth E.
But I need to digress backwards and show off the three totes made in my Tote Bag class by three wonderful students. They worked hard and all finished up. 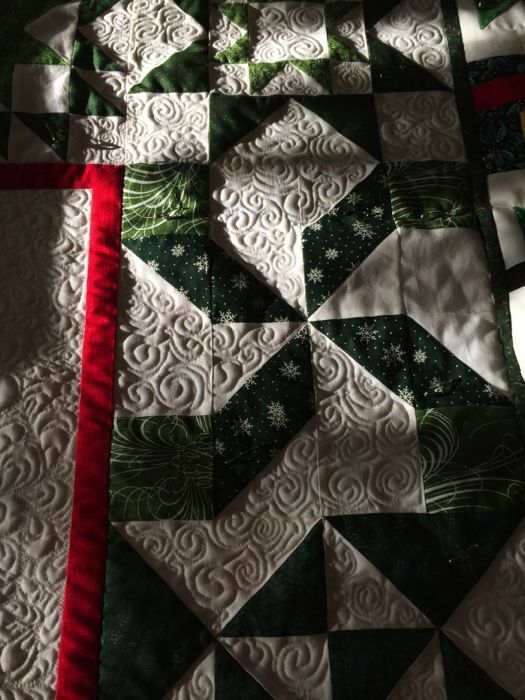 I had taken some time this week to work on the quilting on my Santa quilt, and as always, How to Quilt This can really take over my mindset and stop me in my tracks. 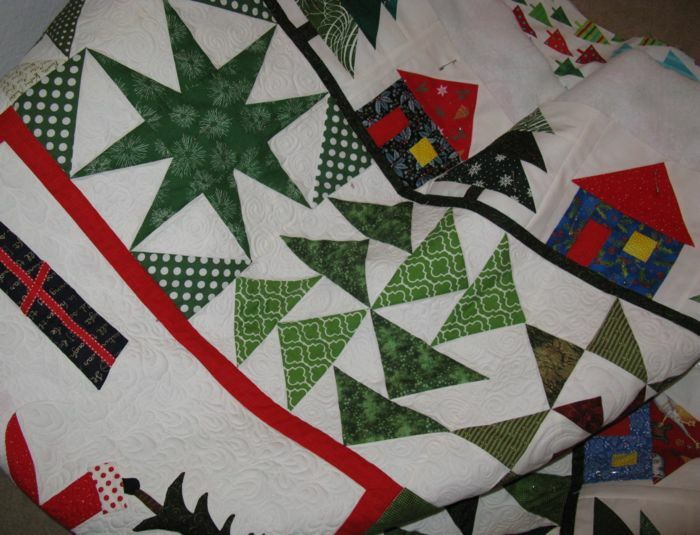 I have had troubles free-motion quilting (FMQ) in the past, and have worked to figure it out. I now have three different FMQ feet (the last one was the one that worked best), and am still experimenting with threads. 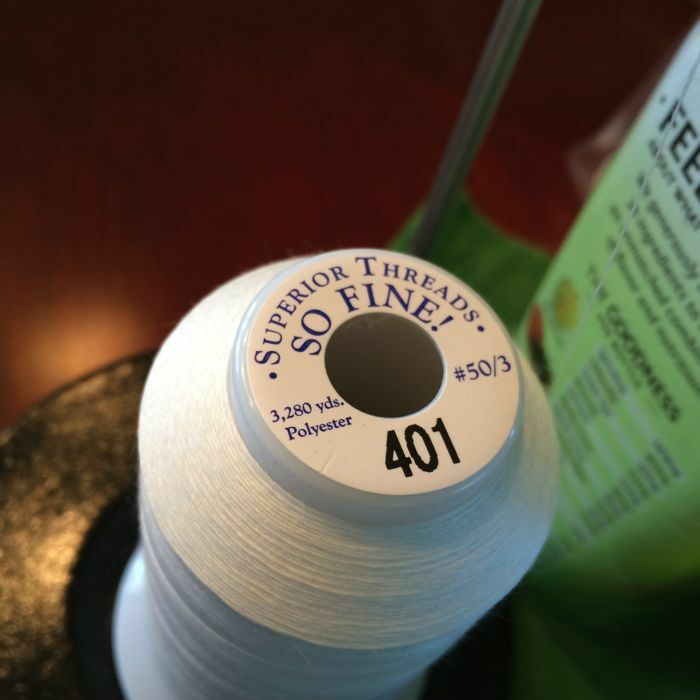 This one, So Fine by Superior Threads, is a dream, as is using their topstitch size 12 needles. I purchased, and read, both of Diane Gaudynski’s books on quilting, which nudged a bit further along on this path. Both were helpful, but I don’t really see myself heading in her direction of teensy-weensy quilting decorated by gorgeous swooping feathers and lots of echo quilting. 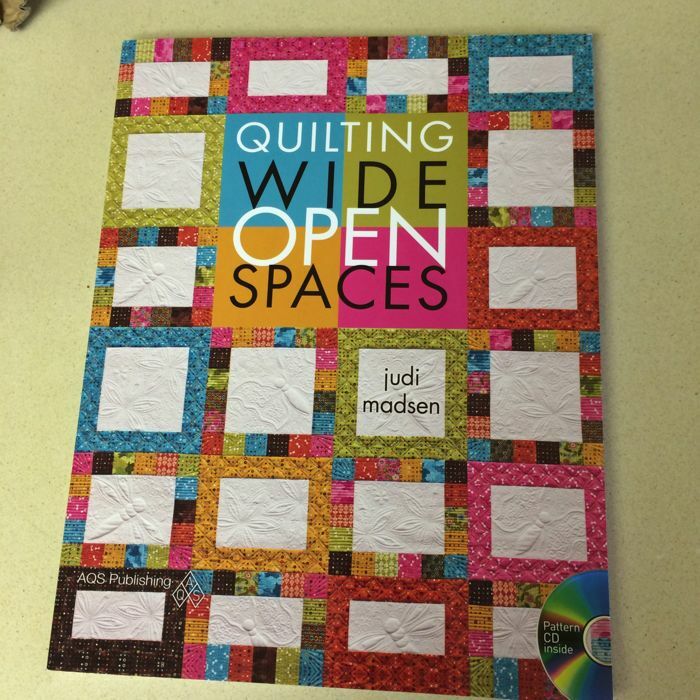 This week, Judi Madsen’s book arrived, and this is more what I hope to quilt like. I’m already behind because she has a huge quilting machine, so our techniques of moving the cloth and figuring out the quilting stitches will be different, of necessity. But I found it really helpful in so many ways. She also has a video up on YouTube which is also instructive. So I quilted until the Bad Cold determined that I would not be quilting. So the quilt is loosely folded up on my sewing room floor, waiting until I get better, get the Christmas tree decorated, the Christmas caramels made, the stack of research papers graded, the final given, the final graded. . . But you know, Santa doesn’t come until the 24th of December, does he? I doubt mine will arrive much before that either. And somewhere in there we need to do a little bit of shopping. 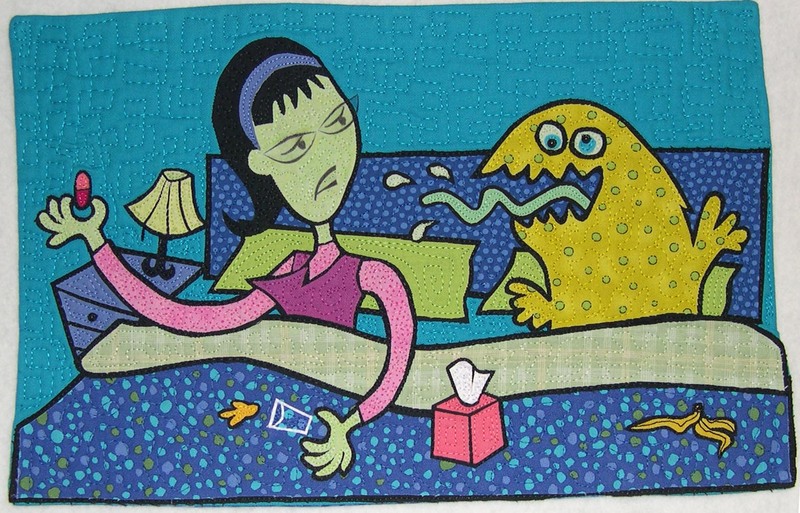 Yessiree, it’s a bad time of year to be in bed with a bad cold. I hope you are better soon. 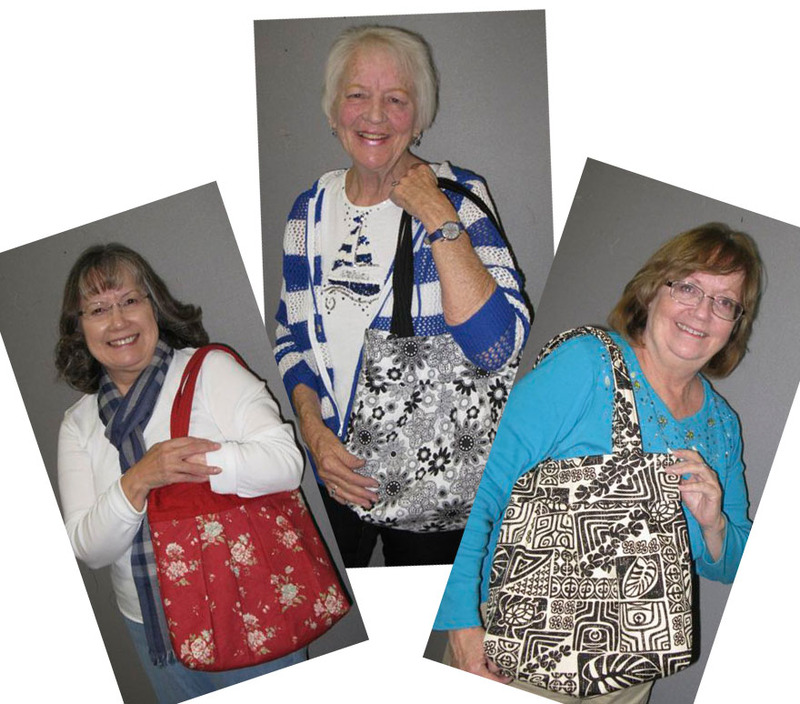 I love the bags and your quilting is wonderful! Get rid of that cold post haste! Firstly, commiserations on your cold! Get better real soon! Love the tote bags- totally different, but totally cute! And how wonderful does Santa and his stars look! You are doing a beautiful job! Hope you feel better sooner than soon. It’s just NOT fun to feel bad. The Santa quilt is coming along so nicely. I sure wish your cold goes away soon. Santa might even make your house the last stop on his night’s journey. As for shopping, the internet sure does make it a 24/7 opportunity. Take each day at a time. I am so sorry you aren’t feeling well. Your quilt is coming along beautifully. 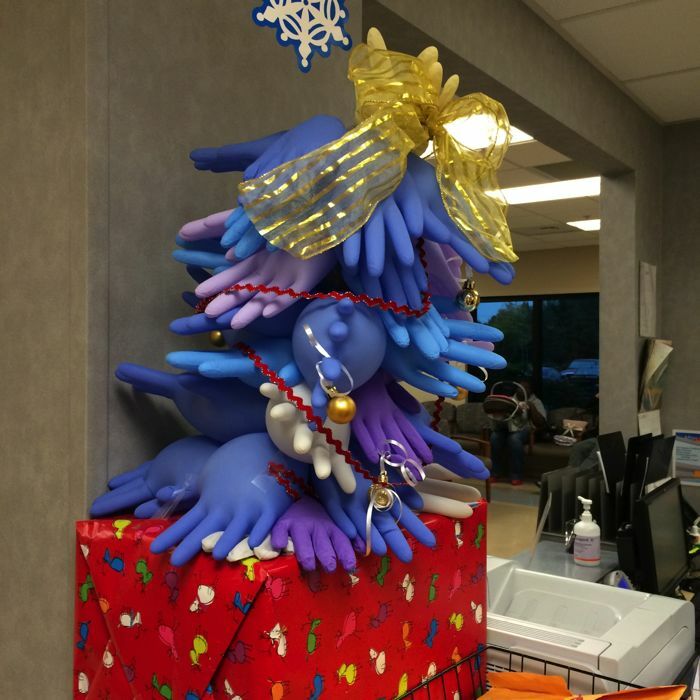 Love that Christmas (glove) tree. LOL What type of foot is working best for you? Get well soon. We’re just getting over some crud here. ‘Tis the season. We don’t have our tree up yet and my husband, who likes to be in charge of the stockings, never goes shopping till the day before Christmas, so you are in good company. Hope you are feeling much better now. This is not the time of year to be sidelined with a cold.